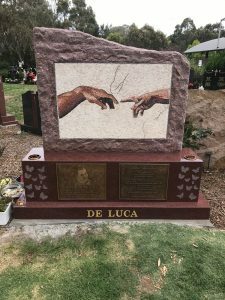 At Lodge Bros Stonemasons, we offer a wide range of high-quality granite, marble and rock memorial headstone designs to create a lasting memorial for your loved one. 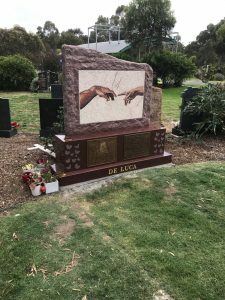 Our headstones and memorials for graves are made to Australian standards, offering exceptional quality that will stand the test of time. You can also choose from a collection of tasteful and elegant designs. From simple and classic cemetery headstone designs through to heartfelt marble headstones that pay homage to your dearly departed, Lodge Bros Stonemasons can deliver what you need. At Lodge Bros Stonemasons we can create detailed designs for headstones and monuments based on the dimensions provided by our clients. Depending on your needs and requirements we can create custom headstones, memorials, and gravestones to treat your loved one with the highest level of respect. For tens of thousands of years, people have commemorated and memorialised loved ones who have passed away. Cultures around the world have demonstrated different methods of doing this, but in modern times the memory of our loved ones are often preserved with cemetery headstones placed above their grave. At Lodge Bros Stonemasons, our memorial headstones and engraved rock headstones are a timeless tribute to your loved one. They can be tailored to reflect the personality of your loved ones as well as provide details about their immediate family. We can also deliver beautiful accessories to adorn your headstones and monuments with, including custom photos headstones. 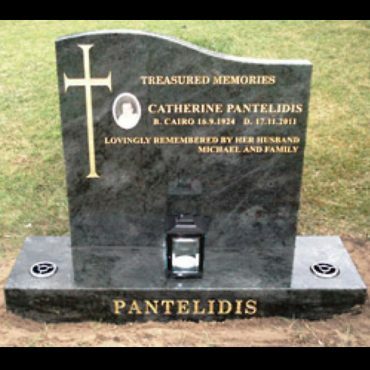 For a complete and respectful level of service we can design family headstones for graves so that all member of your family is properly memorialised. Why Choose Us for Cemetery Headstones? Established in 1918, Lodge Bros Stonemasons has produced works for a varied range of clients. 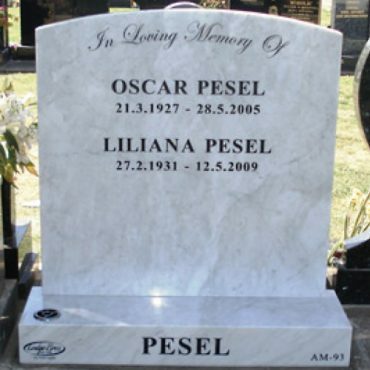 From natural stone, grave headstones design, and bronze statues to large scale monuments, we have worked with cathedrals, town councils and universities to produce beautiful creations that offer outstanding quality. The skilled and compassionate staff at Lodge Bros Stonemasons will work closely with you to assist you in selecting the perfect headstones. You can also rest assured that we will handle all matters delicately and with respect. We understand that this a difficult time for you, so we will help make the process as easy as possible, from the first meeting through to completion of the memorial. 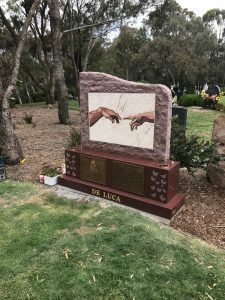 With years of experience in producing high-quality granite and marble memorial headstones in Melbourne and all over Australia, you can count on Lodge Bros Stonemasons for elegant and personalised family headstones for graves that honour your loved ones. 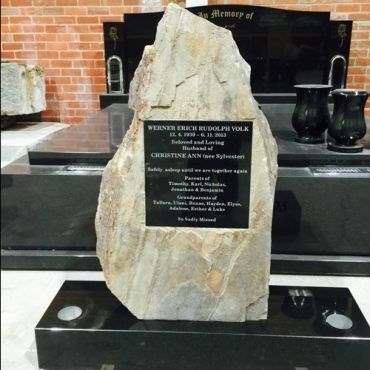 From granite gravestones to rock headstones Lodge Bros will deliver the best prices available in Melbourne for our customers. No matter your memorialisation needs and desires the skilled and reliable team at Lodge Bros Stonemasons will be on hand to deliver the custom grave or headstone to represent the departed. To arrange a consultation for our affordable headstones, or to discover the headstone prices, call us today on (03) 9497 2400. Alternatively, you can contact us online using our enquiry form to receive a prompt reply.